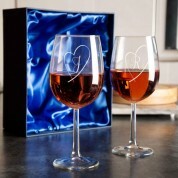 This set of two personalised wine glasses is perfect for any loved-up couple! 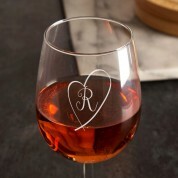 The matching heart design features on each glass, with their first initial inside it. 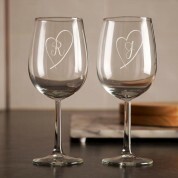 The design is laser engraved, which provides a beautiful finish that will last a lifetime. 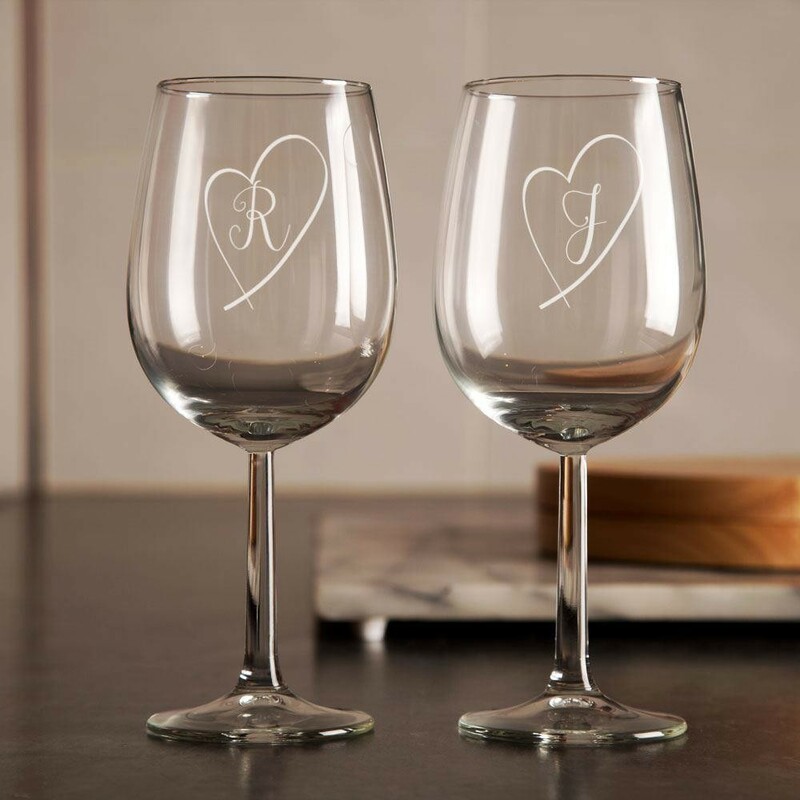 It's a memorable gift that the couple can use or have on display around the house, and makes a wonderful present on a wedding or anniversary.